With the amazingly fast internet of today, it’s easy to forget that at one time, you had to pay by the hour for the privilege of 28 kbps dial-up service. 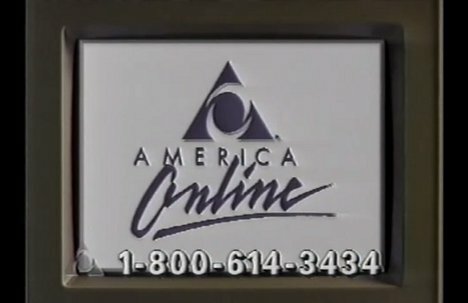 This early AOL commercial brings all of those memories flooding back – or, if you’re too young to remember those days, it shows you just what we older folks had to deal with in the early days of the internet. See more in Aged Adverts or under Vintage & Retro. November, 2012.